After saving his younger brother's child, Daemon Shar is cursed by a witch and runs far from home, a stray who will seemingly never be anything more. But destiny is hard to outrun, even for a man who is now more cat than man beneath his robes and cowl. A chance battlefield meeting between him and Ehron, a foreign lord, gives him purpose amid the darkness of his accursed life. Soon Daemon finds that his true nature cannot be corrupted no matter the form he inhabits. As Ehron's consul, Daemon plots and plans to shape his new lord's future so that he may leave it blessed when he runs away yet again. But he never counted on his soul hungering for Ehron's brother, Gareth, or for his past to catch him by the tail at last. Puss In Boots has a hot new plot! What did you love best about The Servant? 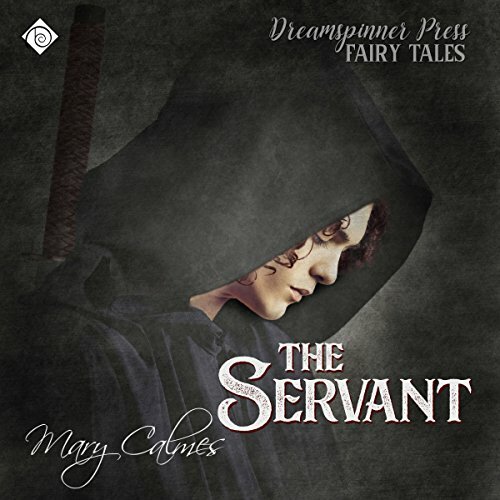 As I recall reading this book from 2011, it was part of a collection of stories where authors rewrote a classic fairytale and made the MC’s both men. A fun collection to read for sure! The Servant seemed loosely based upon The Master Cataa, or Puss in Boots. 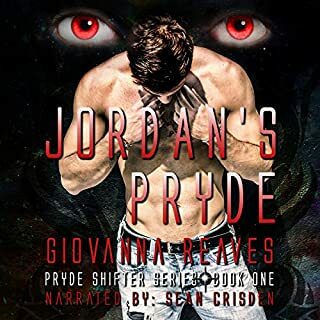 Daemon hides his secret away after being cursed by a witch, sacrificing family and brotherhood to live out his life in the shadows, serving the best causes he can find. So he makes it his life goal to do whatever needs be done to promote the wellness and advancement of Ehron. Much like the prince who was shoved in the river with no clothes to gather the attention of passing nobility in Puss In Boots, Daemon does many fantastical things to ensure Ehron gets noticed by important people too. There is plenty of adventure, fantasy, and action in this book, and the plot diverges enough from the old fairytale to become an original. I enjoyed the romance, the humor and the nail-biting tension in this story. I also enjoyed the steamy connection between Gareth and Daemon, that would have changed this childhood favorite for sure! The only downside, which did slow things down for me, was the extensive list of proper nouns. The plot could have been much smoother if some locations, country names, unnecessary character names, could have been generalized. There were too many to keep track of. I think a quarter of this book was spent introducing names, ranks, and country names of characters and places that really did not hold a significant role in the plot. But that is my only complaint, so if you can speed read/listen past those stagnant introductions and just pay attention to the main characters, you’re going to love this. True fantasy romance! Swash buckling, superhuman feats, and bonds of love that stand the test of time and turmoil! What more can I ask for? Oh yes, I can ask for an amazing narrator! Did I mention Greg Tremblay is a rock star? He gives wonderful variations to each character and breathes much passion into the dialogue. I’ll listen to any project he works on! His unique voice for each character. I was lost, confused, and befuddled for most of the story. There are a lot of characters, and they all have difficult names, and the places are all fantasy-named and it was all really confusing for me. Listening to this was my first time with the story and I just found it difficult to follow along with everything that was happening. Did not finish. Could not follow the story. A lot of the characters had similar names. such proper words I'm not used to hearing! lol loved it. great narration. good writing. This book was a huge delight! I just couldn't stop listening! Sweeping and epical in its scope, yet filled with romance, secrets, suspense, and great characters who embody honor and make you care about them -- this is yet another crackling good story by this great author. 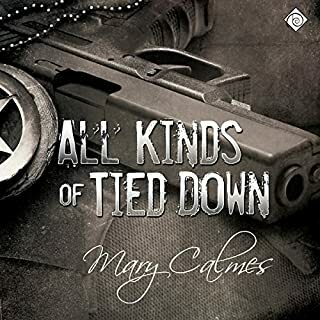 In my eyes Mary Calmes is the Queen of Writers of gay romance novels. I had the great privilege of meeting her some years ago at a book fair in NY, and she is every bit as warm and lovely in person as anyone who's read her stories and the huge heart they contain would expect. If only they had books like this when I was growing up! I'm so grateful we do now. Bravo Mary Calmes!!! And the same to Greg Tremblay, who brought her golden words to life so masterfully. Beautiful beautiful all around. this was a surprising jewel, and a must read for anyone who loves books with an exotic feel to them.